Mika began his career at an early age and has released several solo albums. He also acted on various reality shows, becoming a modest star in the country. 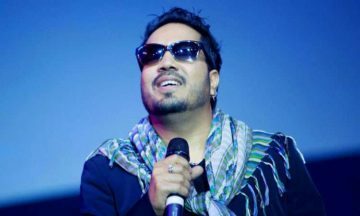 After releasing several albums in Hindi and Punjabi, which became a catalyst in bringing Indi pop to the forefront of the music scene, Mika Singh’s contribution to the Bollywood industry helped him obtain enormous success worldwide. Some of his chart bursting smash hits include Ganpat, Dhinka Chika, Subah Hone Na De, Singh Is King, Saawan Mein Lag Gayi Aag, Dil Main Baji Guitar, Dam Mastkalandar, Pungi Baja Ke, Saajana… and the list goes on and on. Mika has sold millions of records worldwide, which ranks him amongst the best-selling music artists and playback singers in India. He is the hottest selling solo artist assuring a packed audience in every public or private concert. Mika’s popularity has also helped him co-own or provide celebrity endorsement to various brands including the Mikeey’s Rhythm by Mika. Mika Singh is the founder of Divine Touch, a non-profit organization. He has been honored with many accolades for his humanitarian efforts with the mission to advocate for the well-being of children in India. In this day and age most artists are other artists: their lyrics someone else’s clichés, their careers an imitation, their passions a mere reference. Not Mika Singh. For in a genre that faces competition on a regular basis, Mika has outshone with five qualities: interesting, innovative, talented, popular and utterly utterly successful.